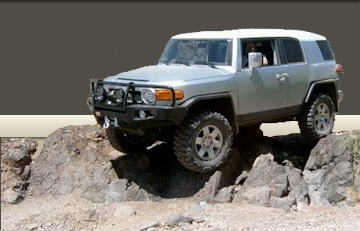 AZFJ › Forums › Technical Discussion › 4x4 Tech › Bumper paint that actually matches? Forums › Technical Discussion › 4x4 Tech › Bumper paint that actually matches? Posted: Mon Feb 04, 2019 1:40 pm Post subject: Bumper paint that actually matches? anyone know of a black paint that will match the bumpers? Posted: Mon Feb 04, 2019 2:32 pm Post subject: Re: Bumper paint that actually matches? Satin black is usually a pretty close match. Or Matte black. (But you want to tape off and paint the whole area). Posted: Mon Feb 04, 2019 3:55 pm Post subject: Re: Bumper paint that actually matches? Posted: Mon Feb 04, 2019 5:44 pm Post subject: Re: Bumper paint that actually matches? Posted: Mon Feb 04, 2019 6:22 pm Post subject: Re: Bumper paint that actually matches? I've tried both Krylon and Ace Hardware brand. Both seem equally happy. But I'd go with Mod_Muscle's recommendation. He knows stuff, and things. Posted: Mon Feb 04, 2019 9:23 pm Post subject: Re: Bumper paint that actually matches? Come to think of it, I have used Ace brand with good results too! It always depends on where I am when buying the paint I guess. Posted: Mon Feb 04, 2019 9:50 pm Post subject: Re: Bumper paint that actually matches? I saw a "bumper black" at home depot by rustoleum, but i'll try whats tried and true by you guys. Thanks!